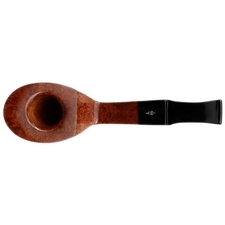 The Artisan and Autograph series from Savinelli feature the work of expert craftsmen, who hand-select the briar and craft the pipes from start to finish. 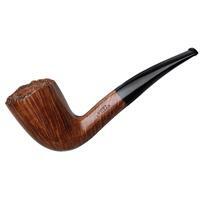 This Freehand provides geometric interest with its square shank and squared mouthpiece, but scoops in a graceful curve from the heel to the forward rim. 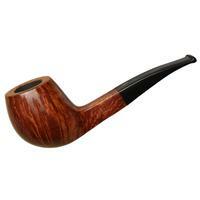 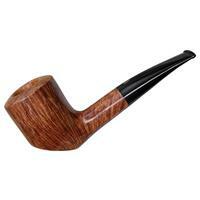 The near side bowl, however, is flattened, accommodating the upper surface of the shank. 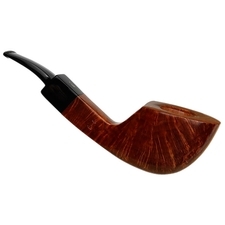 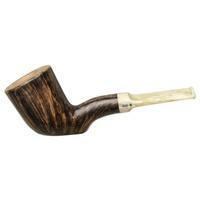 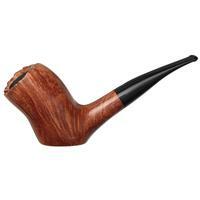 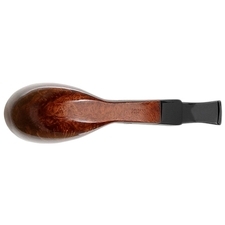 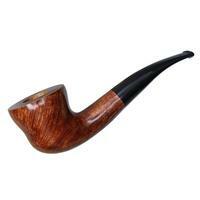 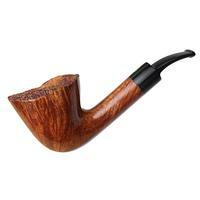 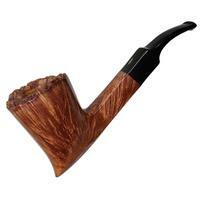 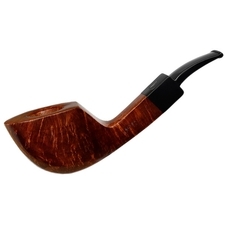 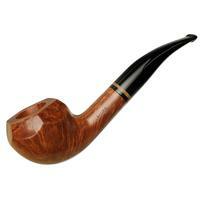 Organic but precise, its flame grain is tight and fascinating, and the birdseye runs along the bottom of the shank, into the heel, and up the far side of the bowl.